Hi everyone! I hope you all enjoyed your weekends. Yesterday I started a project for my office at work, that I cannot wait to show you. 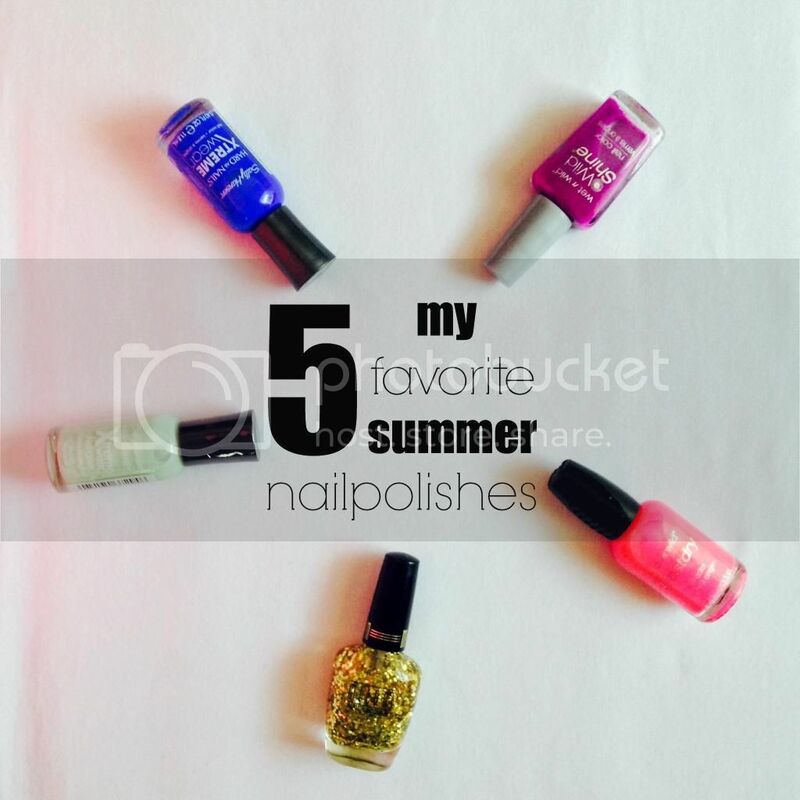 I always want to have my nails painted in the summer time. My fingers and toes. I feel like that extra splash of color is just the extra pop that every outfit needs in the summertime. Here are the five colors that I find myself reaching for time and time again when the weather gets hot. A couple of these are a little bit old, but there are definitely comparible ones out there on the market right now. This list is full of bright, fresh colors. The gold glitter is also thrown in there for when you need to be a little bit fancy. Enjoy the rest of your Sunday everyone! And enjoy painting your nails! I need to be brave enough to try blue! I keep thinking thats a 20's girl color....LOL and not for a 40 ish woman like myself...but love the purple and pink! I think you should try it! It's very nautical, so it would go really well with khakis, or a sun dress. Purple is always my favorite color, but I just painted my fingernails with the pink! Pretty! I put blue on my toenails once and every time I looked at my feet I just didn't recognize myself. :) I'm not fun enough to pull it off, I think. But I really love the pinks you show! They do stay on really well! I'm not sure if they sell the blue anymore, but you can definitely still get the mint. I still love the blue though for summer. It has that really nautical feel I think.